Fantastic Milwaukee 8 Road Glide Special! Includes a laundry list of top of the line upgrades listed below. HD warranty until April 21st of this year. Rides like a Cadillac with the big 26" wheel, Factory 47 bars, and Ohlins rear shocks. Stretch out on those super comfy Banana Boards with even more room without the stock huge brake pedal. You won't find a nicer big wheel M8 bagger anywhere near this price. Daytona is just around the corner. 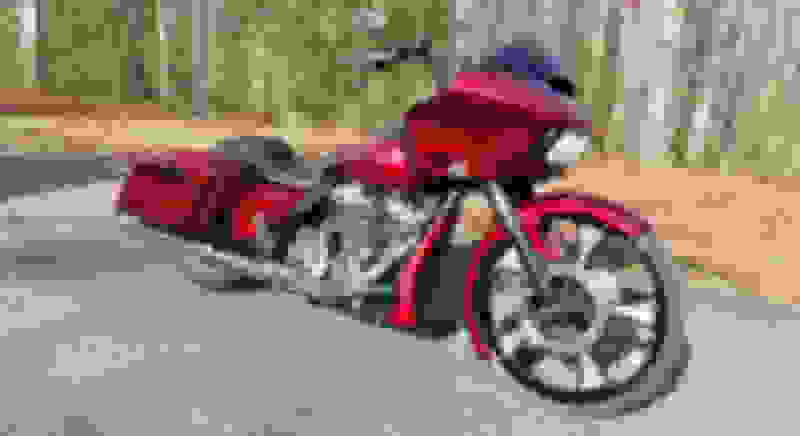 Here is an awesome custom Bagger to roll in large for bike week! Clear title in hand, so no waiting for the bank to release the title. 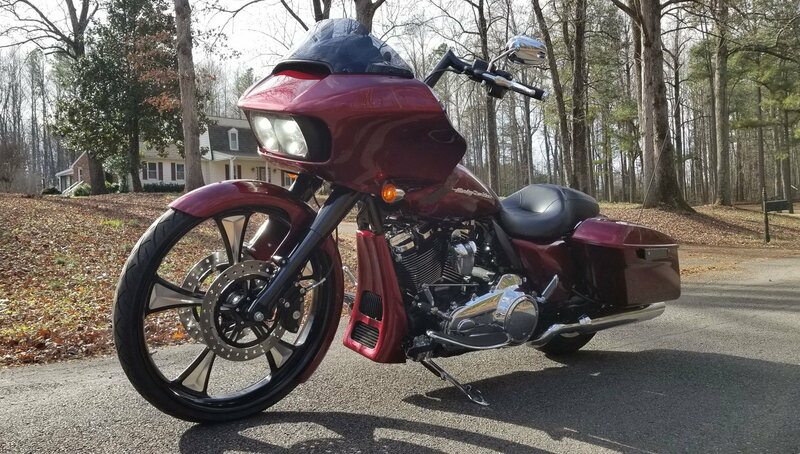 Bike has never been dropped and is in super clean condition. The velocity red sunglo just radiates in the sunlight. Gorgeous color in person! Here is a link to the eBay listing. That way you get their buyer protection and great rates on shipping. Last edited by v-rodder; 01-09-2019 at 08:27 PM. Nice bike, interesting look. I guess I am so used to all bike wheels being stretched and slammed on the ground. Thanks! Never been a fan of air. Would rather have a great handling suspension like ohlins. To each their own though. Hi. I am interested in the top shop rear end if it is still available. Bike is all I have left for sale. Thanks though. I'd recommend adding the "Best Offer" option on your next BIN ebay ad, if it doesn't sell this time. You'll get real offers to consider, plus someone may be motivated to BIN when they see other people making offers, so as not to let the bike get away. Honestly when I add the best offer, all I seem to get is idiots offering me $18k for it. Still February. No worries. Worst case is I keep it.